It didn’t seem to matter how many hours a slept for, when I awoke it felt like I needed more. I wanted to sleep in so badly but once again I had to emerge into the misery of mosquitos. I had taken to wearing my waterproof pants and happy jacket right up until it was time to leave camp. These seemed to offer the best defense against the nasty little bloodsuckers. Unsurprisingly I was last to leave, but my new trail family did provide a degree of accountability that got me up and out by 7:30am … the earliest I’d hit the trail in some weeks! Things have become weird and volcanic! Yesterday, during a rare moment of phone service, I’d managed to download a number of podcasts, which I was looking forward to listening to today. During the monotony of walking alone I’d started listening to my music, mostly in an attempt to keep my unhelpful mental chatter at bay. However, my monkey mind had quickly learnt how to chatter over the music and now I needed something more engaging to quell the endless drivel that was my internal dialogue. I hoped that the BBC news service would do the trick. The political carnage left in the wake of the UK’s vote to leave the EU was indeed a good distraction. I was grateful to be so removed from all this drama, and yet the chaos still managed to impact me … the Pound had slipped to a 30 year low against the US Dollar, making my trip about 20% more expensive. A total escape from the harsh realities of the real world somehow continue to allude me. The day’s hike included some steep climbs, a couple of easy creek crossings and thankfully very little snow. I was becoming evident that the tough stuff was finally behind me and my confidence began to recover. I stopped for lunch with Dragon, Neon, Turtle, Skywalker and The Voice. The mosquitos were not too bad, but now a new menace had appeared … Biting flies … WTF! Midway through lunch Stretch appeared in something of a fraught flurry. He looked dusty ands bit disheveled and when I enquired after his welfare he exclaimed “well I’m still alive!” It transpired that Stretch had taken a tumble at the last creek crossing and head butted a boulder. He was clearly shaken and had a nasty cut on his head I checked him over for any signs of concussion and put some Neosporin on the injury. He had been really lucky and we both reflected on how easy it was for one misplaced step to completely end your thru-hike. It wasn’t something I liked to vocalize for fear it tempting fate, but so far, apart from a couple of slides in the snow and a spot of postholing, I hadn’t fallen over on the trail. Hollywood sizes up to Chipmunk! After lunch, Stretch and I hiked together. I figured it wouldn’t be such a bad idea just to keep an eye. He had taken quite a nose dive. 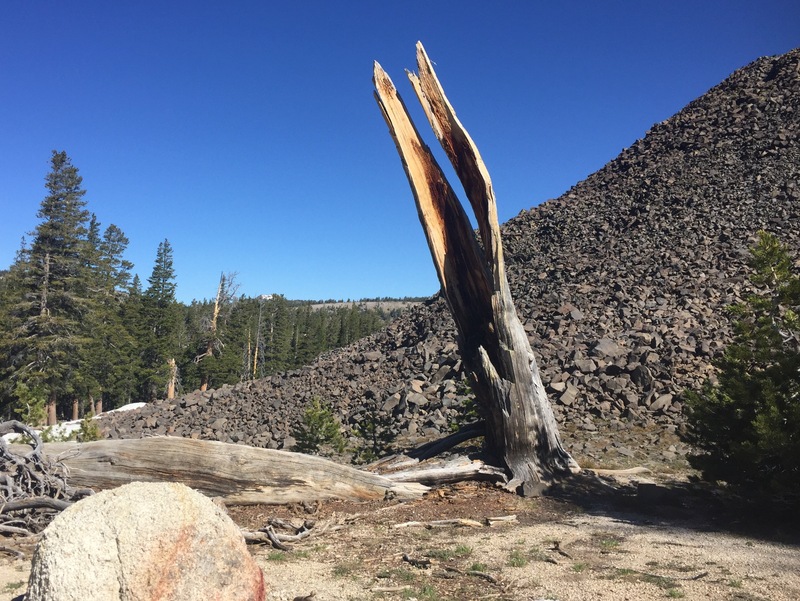 It was very hot but we made great progress and with less than a mile to go until camp, our perseverance was rewarded with the most awesome Trail Magic! 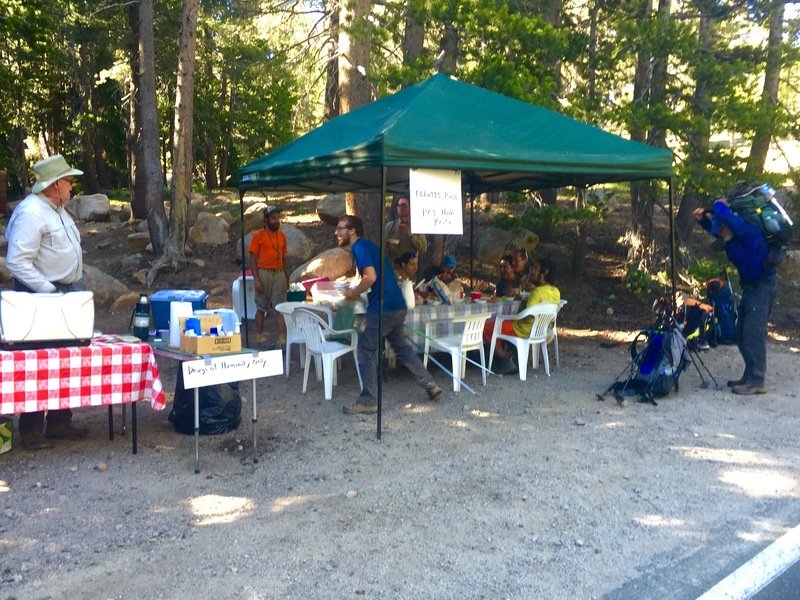 There, right on the side of the highway at Ebbets Pass, a Trail Angel called Chipmunk was serving up chilli and watermelon to at least half a dozen hungry hikers. Looking like an out of work safari guide, Chipmunk welcomed us to help ourselves to the last of the lavish spread. We had reached Ebbits Pass just in the nick of time. Together with Dragon and his crew, who had arrived just ahead of Stretch and I, we devoured the last of the homemade brownies, Honey Nut Loops with cold full fat milk, bread with butter, coffee and Dr Pepper. We ate and drunk like a bunch of hostages who had been chained to a radiator for several weeks! Dragon and Neon chomping down some magic! After thanking Chipmunk profusely we walked the final 10 minutes to Sherrold Lake and made camp. About an hour later Mamma Lion and Boone appeared. They made no mention of Chipmunk or his trail magic. Stretch and I glanced at each other and decided not to mention anything. 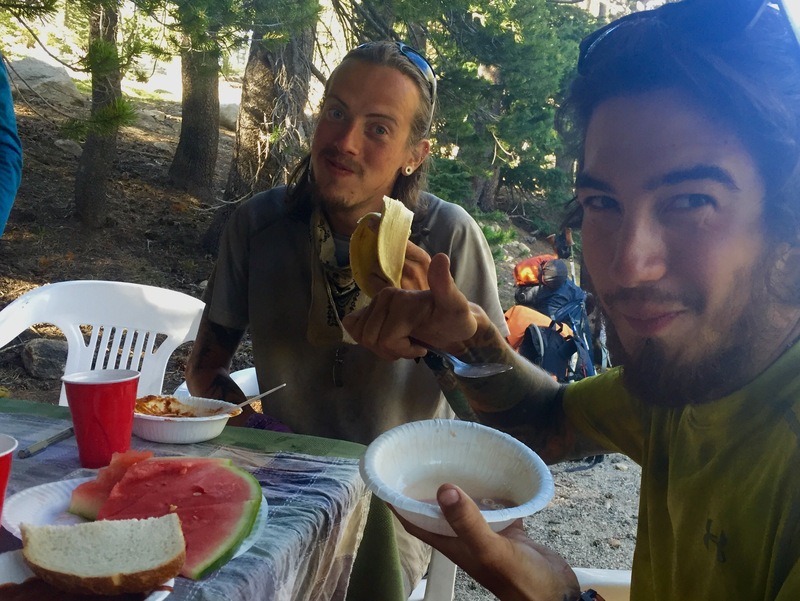 The disappointment of narrowly missing watermelon and ice cold milk would have been too much for any thru-hiker … This is how life is out on the trail! 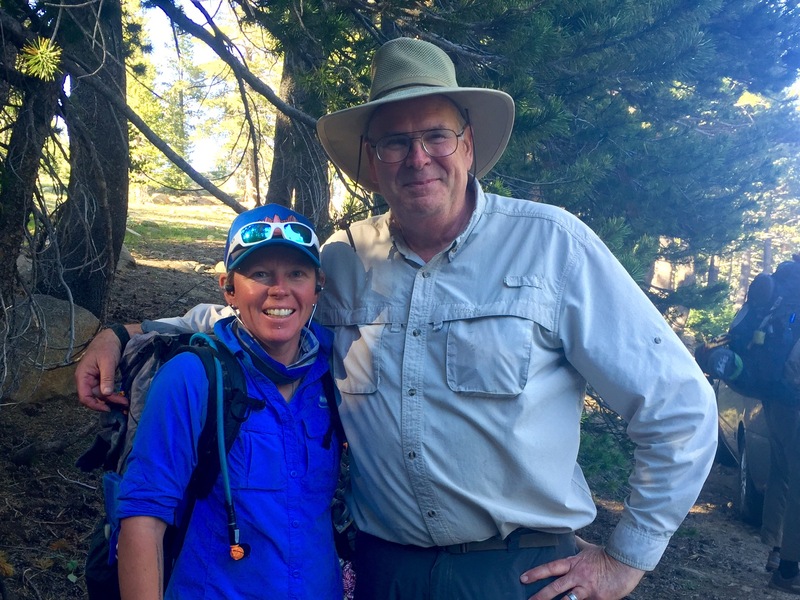 Previous Post PCT Day 76 – Meet the Tramily! Glad to hear you are still out there. The mental noise can be brutal. Hang in there. Yummy magic.